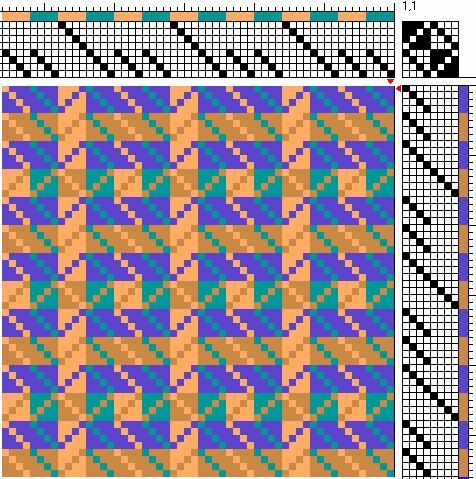 Without elaborating too much, I would describe turned twill as an uneven twill, and in this project, blocks are made up of 4-end units of 3/1 twill and 1/3 twill. 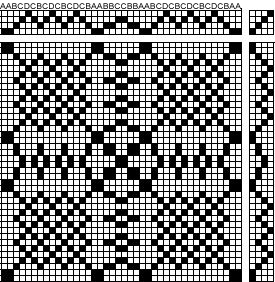 The contrast between warp-float and weft-float areas on the same side of the fabric can be used to design many kinds of patterns – from stripes to fancy figures. 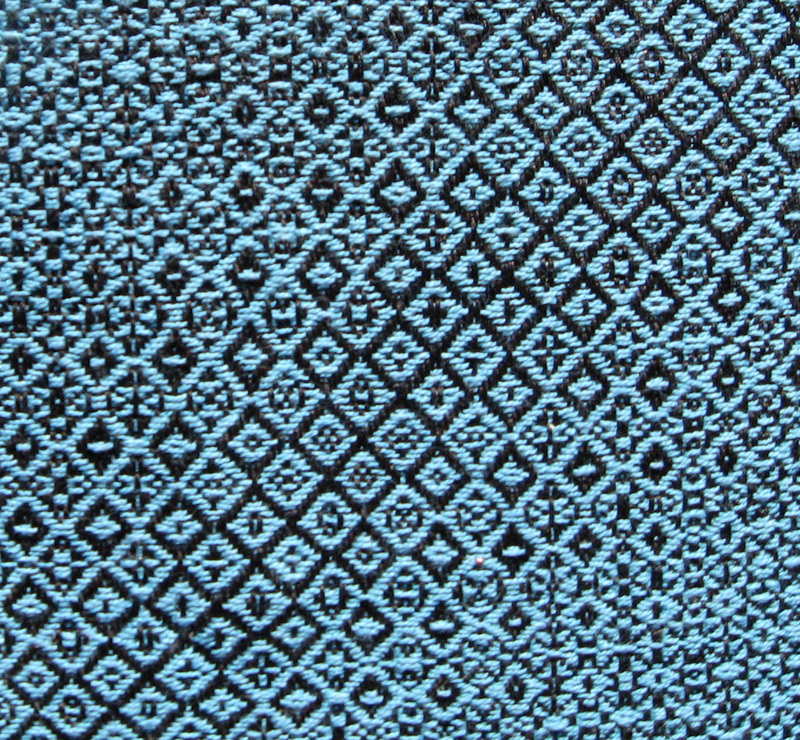 Sometimes turned twill is referred to as twill damask. 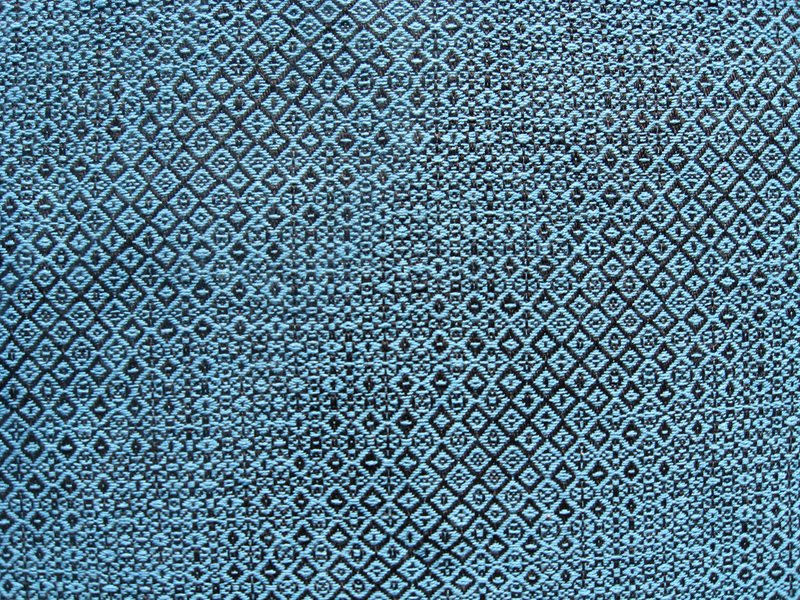 Irene Emery describes it in great detail in her book, The Primary Structures of Fabrics. To learn more about blocks and profile drafts, I recommend Madelyn van der Hoogt’s book, The Complete Book of Drafting for Handweavers, Chapter 5: From Blocks to Units. I think Madelyn also has a video out about block weaves. I have a few past posts with profile drafts, you can find them if you go to my home page and click on “Profile Drafts” in the Categories cloud. 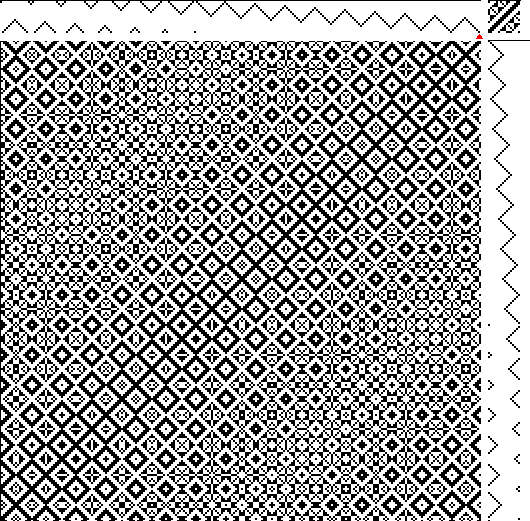 Below are the drafts for the fabric. If anyone would like the WIF file with the complete thread-by-thread draft, let me know. 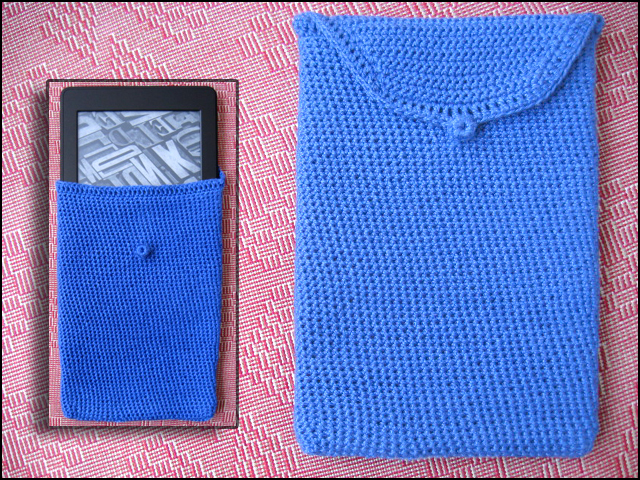 OK, this is not woven, but I just love this little crochet case with the little button that I made for my e-reader. It’s just simple continuous single crochet with 5/2 pearl cotton going round and round and then back and forth for the flap, finished with a double crochet edging. 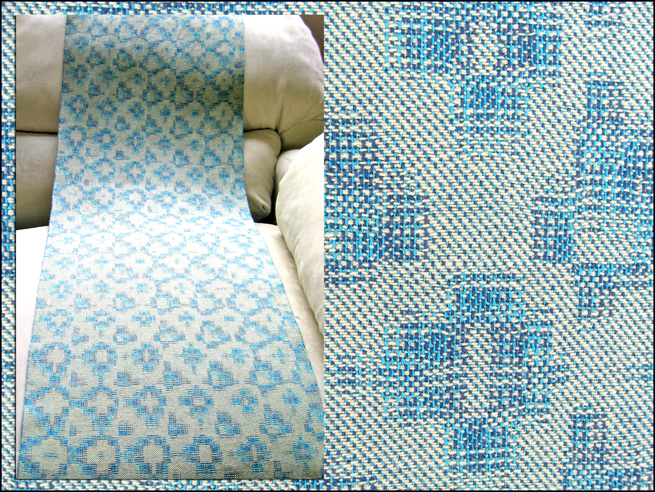 It’s sitting on a shadow weave mat so there is some weaving in the picture! Members of study groups at Complex Weavers are often invited to submit articles to the Complex Weavers Journal. As a member of the Fine Threads Study Group, I submitted an article about my study from last year and it was accepted! If anyone would like the WIF file of the draft of my study please let me know and I’ll email it to you. 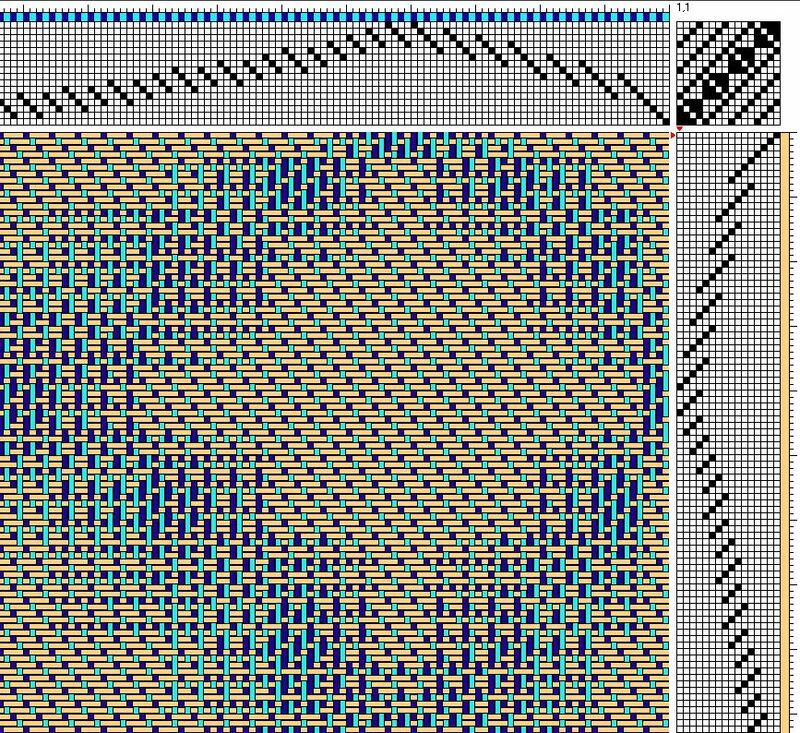 My fascination with advancing twills led to some interesting experiments using my weaving software, but I realized that it was necessary to narrow down the variables because the possibilities became overwhelming. 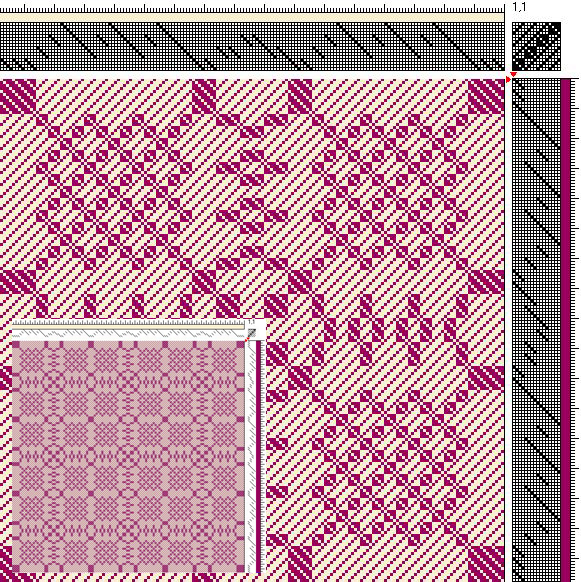 I decided to design different patterns by varying the tie-up only and keeping the threading and treadling constant. Using an eight-end advancing point draw on 16 shafts and tromp-as-writ treadling, I was thrilled with the intricate and beautiful designs that were produced by different tie-ups. 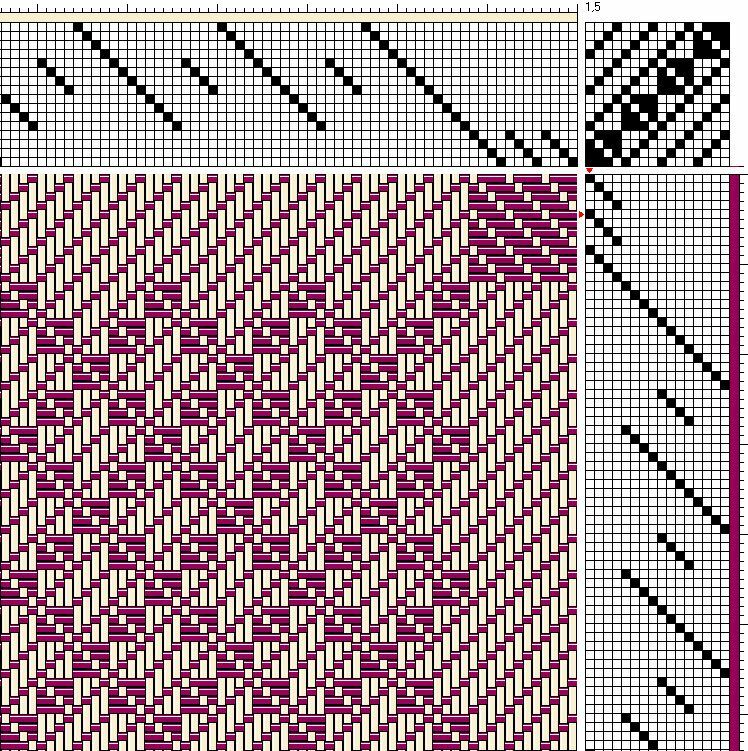 To weave the samples for the Fine Threads Study Group, I used a tie-up that is a fancy twill pattern (#548 in Oelsner’s book). 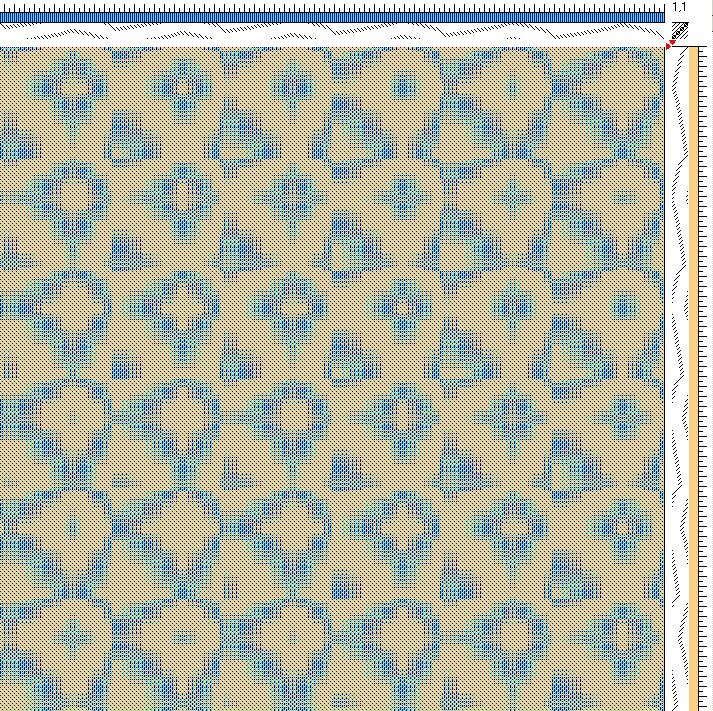 Looking at the drawdown I thought this design would be great to use for weaving a fabric with an interesting and playful pattern when viewed close-up as well as at a distance. 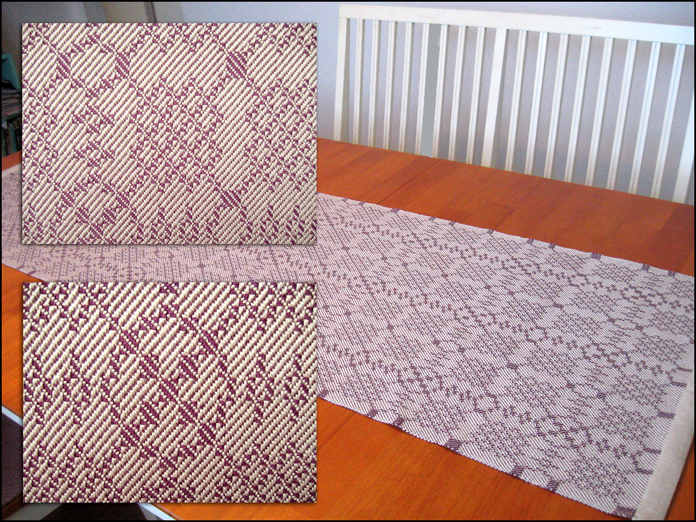 I used cotton sewing thread doubled up for the warp and 20/2 cotton for the weft with a sett of 42 epi and approximately 45 ppi. The longest float is five ends. The piece was handwashed, steam ironed while still damp with an overall shrinkage of about 4%. Looking at the finished fabric, I just love the way all those little squares and diamonds grow in and out of each other and that so many of them are unique in their appearance. Inouye, Bonnie. 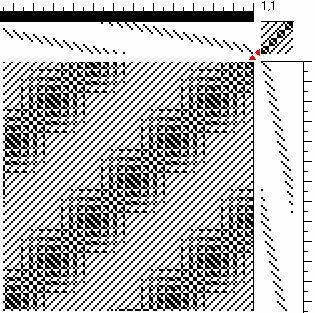 Exploring Multishaft Design. Weavingdance Press. 2000.
van der Hoogt, Madelyn. The Best of Weaver’s: Twill Thrills. XRX Inc. 2004.